Our 10th year of #SummerDocs screenings at Guild Hall of East Hampton continued over the weekend with BATHTUBS OVER BROADWAY! 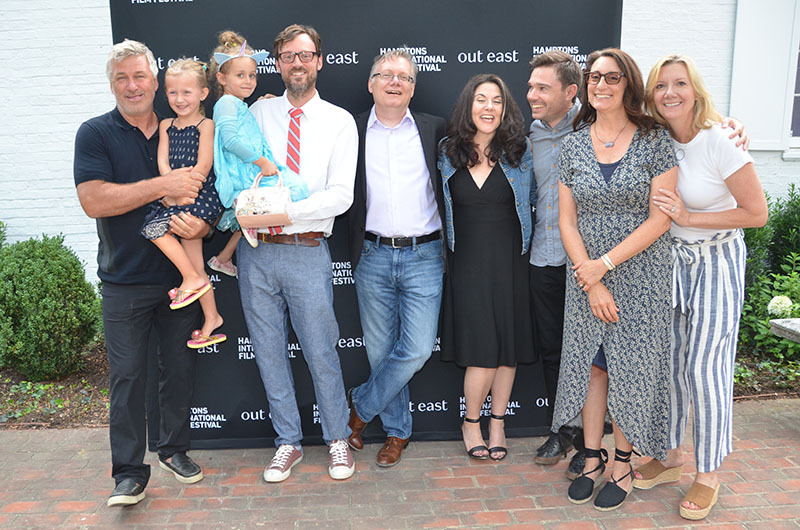 Guests enjoyed a lovely reception in the Guild Hall courtyard prior to the screening, with special guests from the film including director Dava Whisenant, film subject Steve Young, and producers Susan Littenberg and Ozzy Inguanzo! Thanks to Out East for presenting #SummerDocs10! And also to Candescent Films, New York State Council on the Arts, and the Suffolk County Film Commission for their ongoing support. Alec Baldwin, David Nugent, Steve Young, Dava Whisenant, Ozzy Inguanzo, Susan Littenberg and Anne Chaisson at the reception before BATHTUBS OVER BROADWAY at Guild Hall. Photo: Barry Gordin. Artist Paton Miller and HIFF Executive Director Anne Chaisson at the BATHTUBS OVER BROADWAY reception at Guild Hall of East Hampton. Photo: Barry Gordin. Steve Young, Dava Whisenant, Ozzy Inguanzo and Susan Littenberg at the #SummerDocs reception before BATHTUBS OVER BROADWAY at Guild Hall. Photo: Barry Gordin. Guests enjoy the reception before BATHTUBS OVER BROADWAY at Guild Hall. Photo: Barry Gordin. HIFF Artistic Director David Nugent introduces BATHTUBS OVER BROADWAY at Guild Hall. Photo: Barry Gordin.